Unfortunately, plastic lockers just aren’t as popular as metal lockers due to misconceptions about their durability and price. However, they offer a wide variety of benefits over metal lockers that make them well worth the investment, including resistance to rust, mold, moisture, and other damaging factors. Read on to learn more about the benefits of using antimicrobial plastic lockers in your athletic, medical, food processing, or other high moisture or hygienic application. 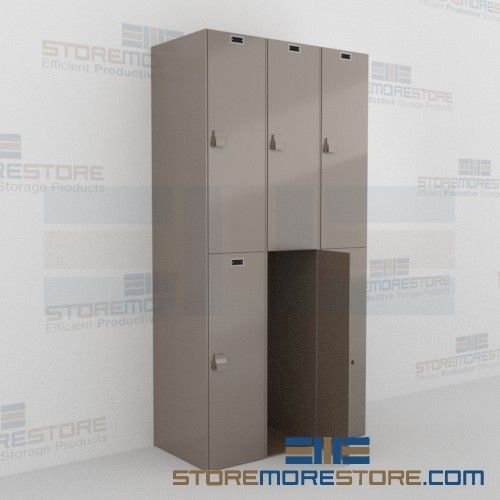 Antimicrobial plastic lockers are a great solution for many storage applications such as pools, changing rooms, hospitals, outdoor areas, manufacturing facilities, and other areas with a high degree of moisture, humidity, or chemicals. Constructed from high density polyethylene, the plastic is lightweight but extremely durable and won’t corrode, rust, or dent. Durability and impact resistance also provide enhanced security for stored belongings. In healthcare, athletic, or food storage applications, hygienics are extremely important. Plastic is much easier to clean than metal due to its moisture resistance. Simply spray it down and let it dry instead of time-consuming hand drying. You don’t need to worry about unsightly patches of rust if the lockers are left wet. The ease of cleaning also makes it an ideal solution for applications where users exchange lockers throughout the day and prevents the spread of germs and illness. Plastic is also very low-maintenance compared to metal as it won’t dent, scratch, or require regular re-paintings due to chipping. The material is resistant to odors, germs, graffiti, chemicals, and more. The durability of the lockers offer a smart, attractive, and long-lasting solution that you can count on for years to come. 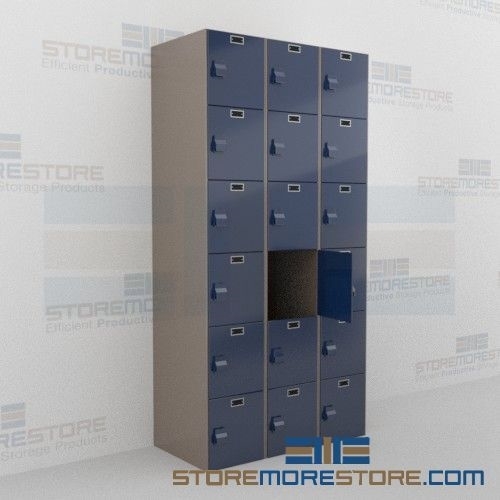 Antimicrobial plastic lockers are available to buy online and ship fully assembled. For further assistance, give us a call at 1-855-786-7667. One of our storage experts will be able to help answer all of your questions.